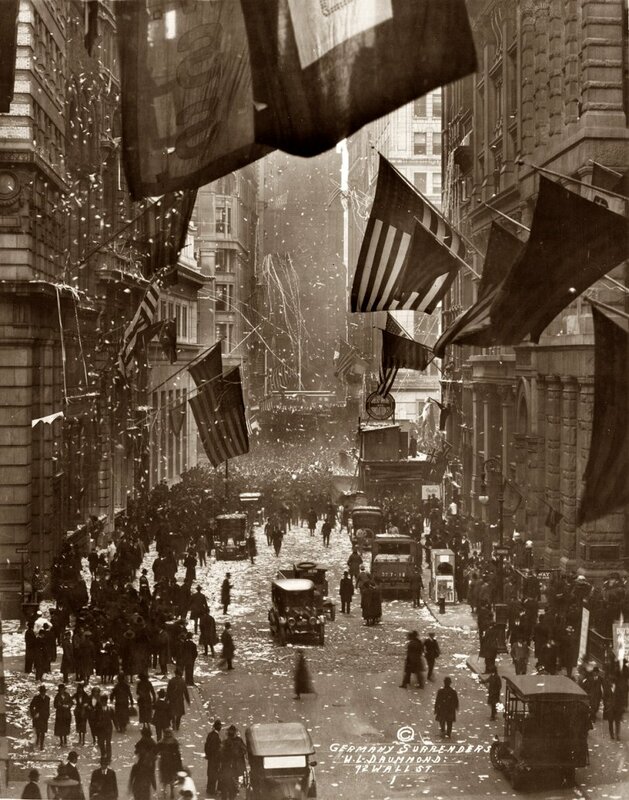 Celebration on Wall Street upon the news of Germany's surrender in World War I. November 1918. View full size. Photograph by W.L. Drummond. Submitted by Anonymous Tipster on Wed, 05/09/2007 - 1:49pm. 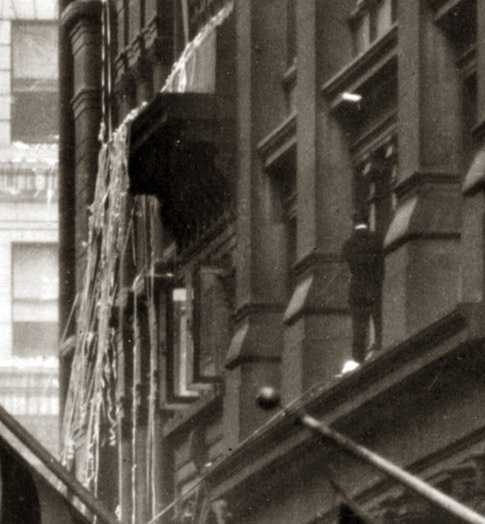 Looks like there are 2 people on the building. 2nd person on building to the right all the way at the end below American flag. Looks like he's leaning against the building. Submitted by Anonymous Tipster on Wed, 05/09/2007 - 1:11pm. So many of these old photos have something interesting that's hidden to the mere casual observer. It's like "where's Waldo" in every picture! Submitted by Anonymous Tipster on Tue, 05/08/2007 - 3:41pm. 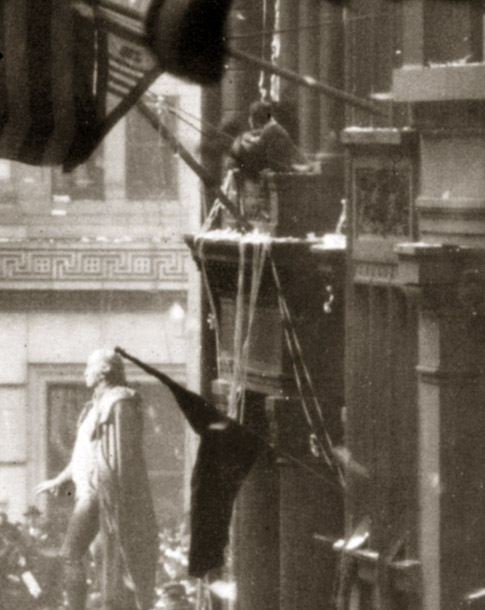 Is that a person standing on the ledge on the building to the right just above and to the right of the waving American flag?